Our nearby frozen lakes and ponds, where Rainbow and Brook Trout of a good size can be found in abundance, are an invitation to go ice fishing... our guide schools graduates took a trip out to the ice for some winter fun. 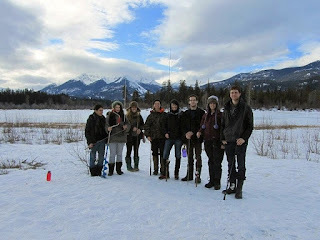 The whole crew of former guide schools students went ice fishing yesterday after lunch and stayed out until dusk. After recent temperatures of -25 C°, the ice was much thicker than we expected, and it certainly took some effort and strong team-up energy to drill 5 holes in two feet of ice! 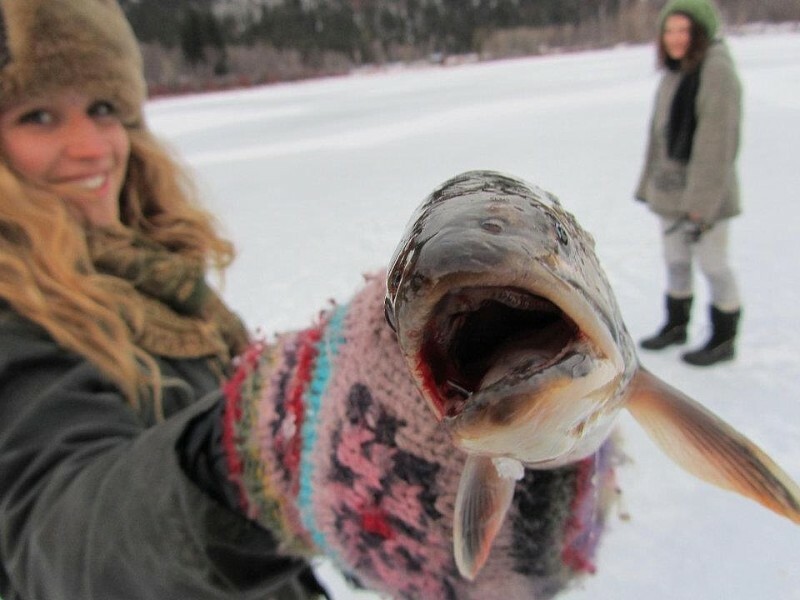 Johanna who took our wilderness guide schools was the first one to get a fish within 5 minutes! 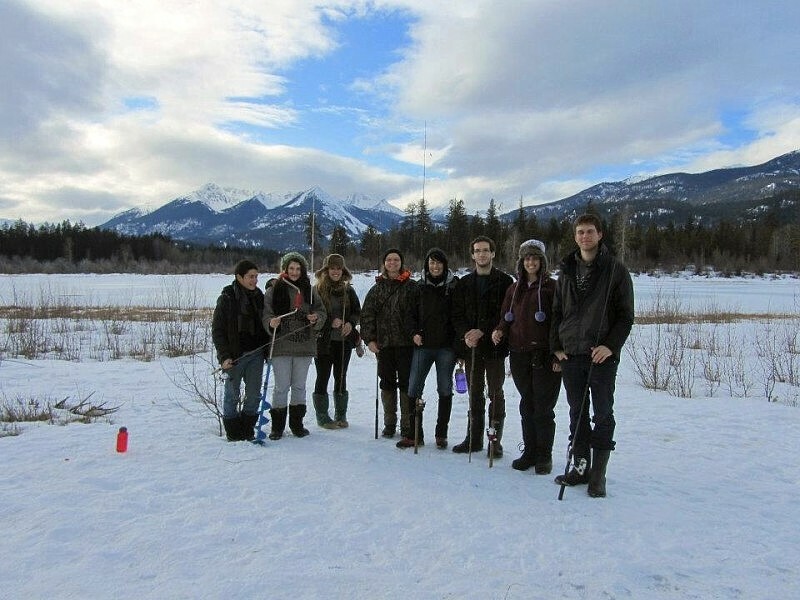 The ranch enables you to work in many different areas and learn as much as you want! As the afternoon was reaching an end, we built a big fire on the frozen pond, cooked smokies and grilled one of our fresh fish, no spices, nothing, delicious...!